You will find that each major Hawaiian island is represented by different Hawaiian lei. The leis of the islands consist of fresh natural foliage such as vines, leaves, ferns, flowers and seeds. These Hawaiian leis are worn for celebration and on Lei day. Hawaii (also known as the Big Island): Lehua is a tropical flower that grows on the Ohi’a tree near the slopes of the Hawaiian volcanoes. 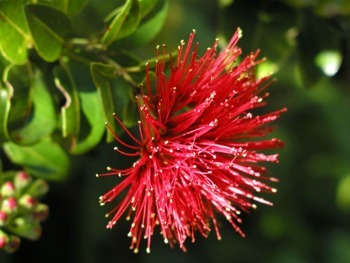 The blossom appears as an animated pom-pom that bursts out of the lush green leaves of the tree. The blossoms come in several colors: yellow, red, salmon and pink. 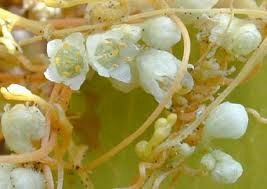 Stamen: is the male part of the flower. Its amazing how part of the island is supper lush and packed with tropical plants and flowers. Then you see pictures like this, just the opposite. Kauai: Mokihana is a fruit that is found in the flourishing rainforest of the island. When the fruit has been picked it needs to be strung within two hours. Lanai: Kauna’oa a mini white blossom that grows within a vine. You may see these vines on the side of the road or climbing up trees in search of direct sunlight. They are also referred to as “the beach orphan vine”. 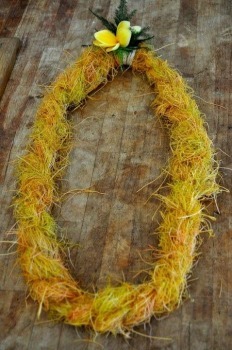 Hawaiian lei makers will grab handfuls of the vine and twist them forming the lei. Lanai is also known as the pineapple island. These nickname came from its history of the pineapple plantations. Visiting this romantic destination you may receive a beautiful Hawaiian lei made out of this vine. Maui: the striking Lokelani or also know as “heavenly rose” contains a fragrance that will blow you away. This has also been recognized as the official flower of Maui. Maui has been one of my favorite islands to visit. 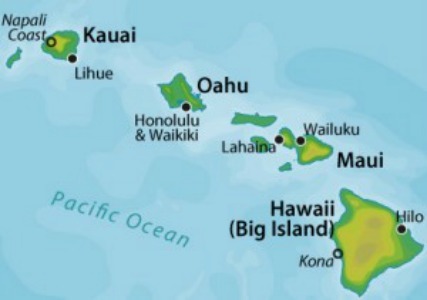 In the chains of the Hawaiian islands it is the second largest. Ni’ihau: the island contains rare white shells that are only found along the shoreline called Pupu. The island is known as the “Forbidden Isle”. O’ahu: Ilima lei where only worn by royal chiefs. To make the tropical floral lei it will take plenty of time and hundreds of flowers. Molokai: Kukui nut (Candlenut) has a substantial amount of spiritual significance due to the many uses. 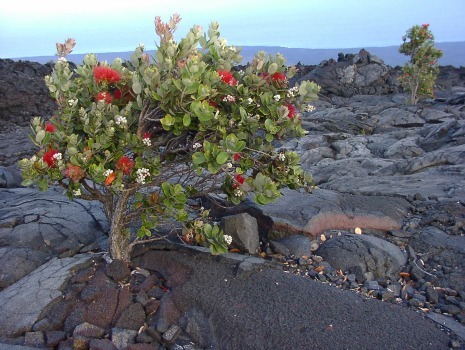 This popular tree may be seen throughout Hawaii’s forest. In present time the Kukui nut has become a fashion statement amongst the women and the chunky jewelry they wear.